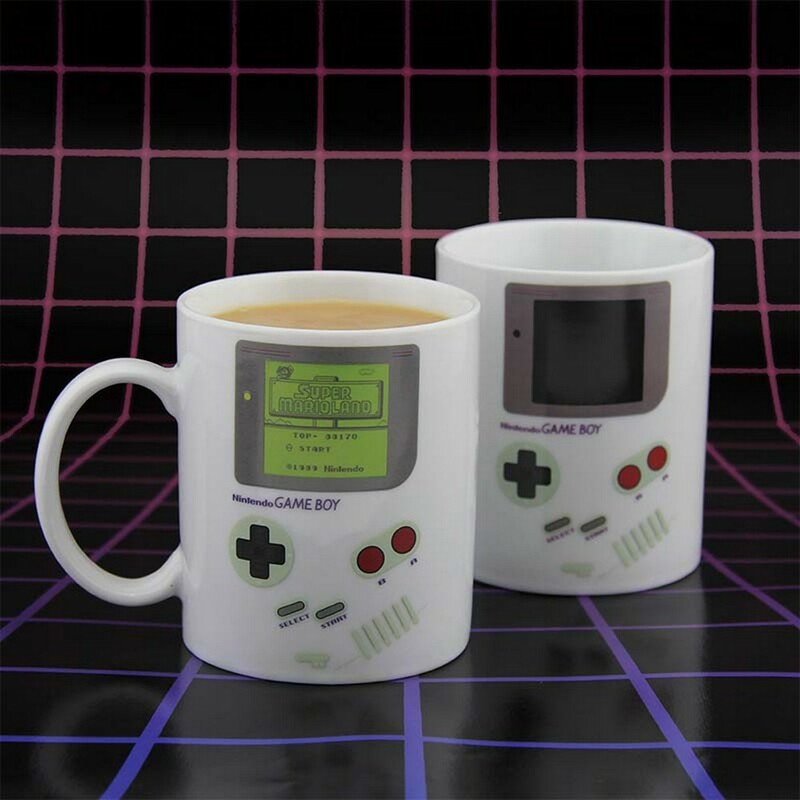 Enjoy retro refreshment while gaming with this Game Boy inspired heat change mug. Simply add a hot drink to see the screen of the classic handheld console load up with a game. Designed like the distinctive original Game Boy, with its retro grey style and simple button layout, the Game Boy Heat Change Mug is a great gift for gamers of all ages and is perfect for the kitchen at home or staff room at work. First introduced to the gaming world in 1989 (1990 in Europe), Nintendo’s Game Boy revolutionised portable gaming. Instantly becoming a hit across the world, selling over 118 million units, the Game Boy transcended gaming markets to become a definitive pop culture icon of the time. Still hugely popular and highly regarded, the Game Boy led the way for portable gaming, introducing classic games such as Tetris and Pokemon that are still universally popular in modern mobile gaming today. With its retro cool design, the distinctive build and colour of the Game Boy has widespread appeal among modern gamers and fans of the original alike. The Game Boy Heat Change Mug is an officially licensed Nintendo product.